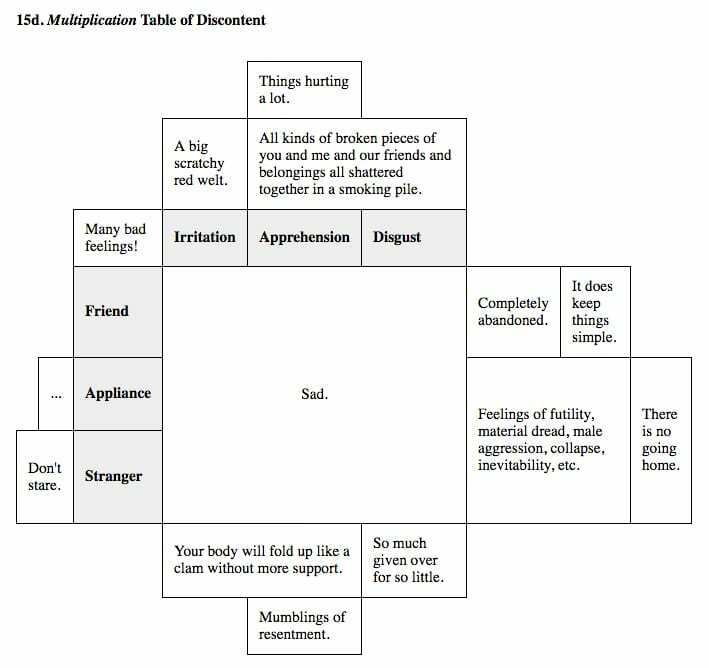 This table renders the content of “In Submission”. Further notes are provided in “Building a Table”. Ryan Kuo is an artist and writer based in Cambridge, MA. He received a Master of Science in Art, Culture and Technology from MIT in 2014. His work in digital media utilizes techniques gleaned from video games, web design, motion graphics, scriptwriting, and sample-based rave music. Among his current projects, Ryan is maintaining File, a hypertext process work collected by Left Gallery (Berlin) and inspired by agile process management; and building an artist’s book about aspirational workflows, File: A User’s Manual, modeled after software guides for power users. His works and writing have recently shown at Spike Art Quarterly (Berlin), Goldsmiths (London), Carpenter Center for the Visual Arts (Cambridge, MA), Boston Cyberarts (Boston), MIT Media Lab (Cambridge, MA), Front/Space (Kansas City), and Minibar (Stockholm). He was an NEA Art Works resident artist at Residency Unlimited (New York) in summer 2017.